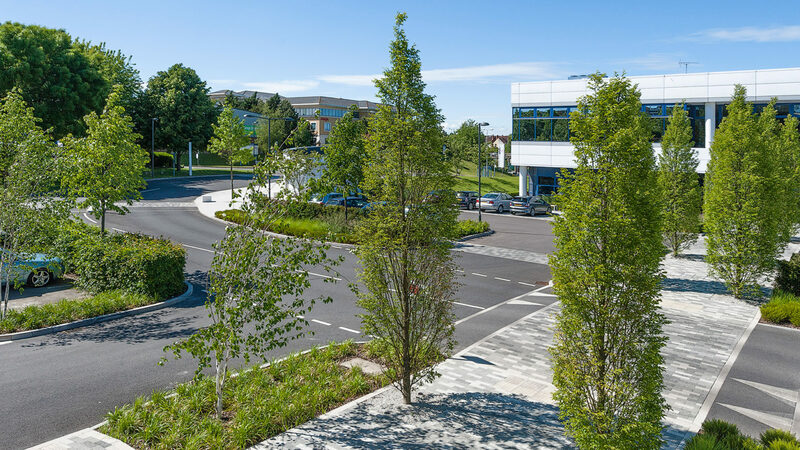 As part of the major re-modelling of Guildford Business Park, we were asked to create a new high quality, contemporary landscape environment for the existing business park. 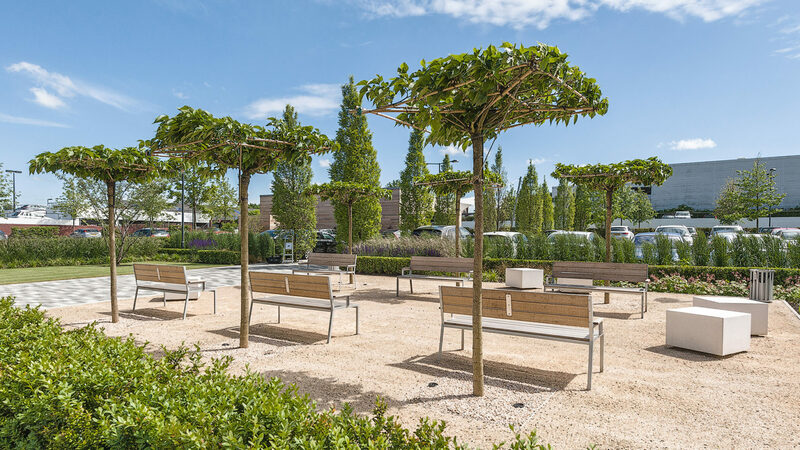 The brief was to provide more amenity space, improve legibility and work with the architects to incorporate new park facilities such as a café with outdoor seating terrace. 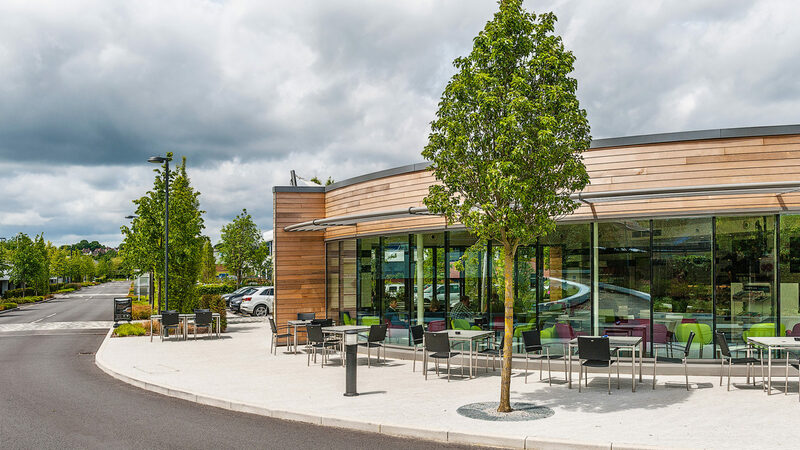 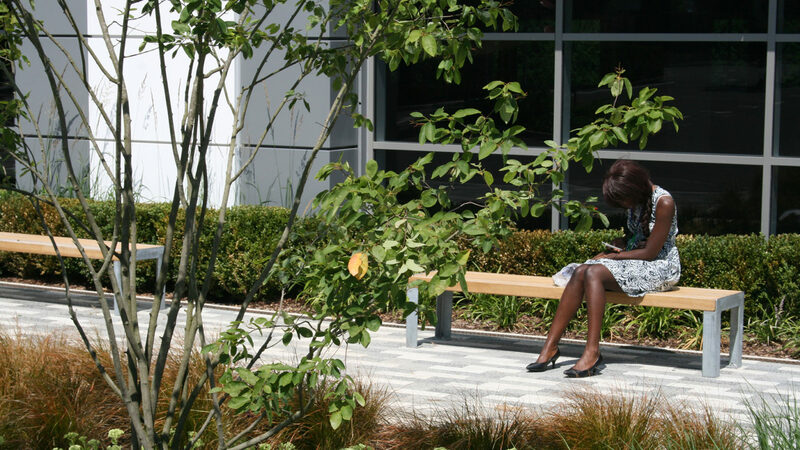 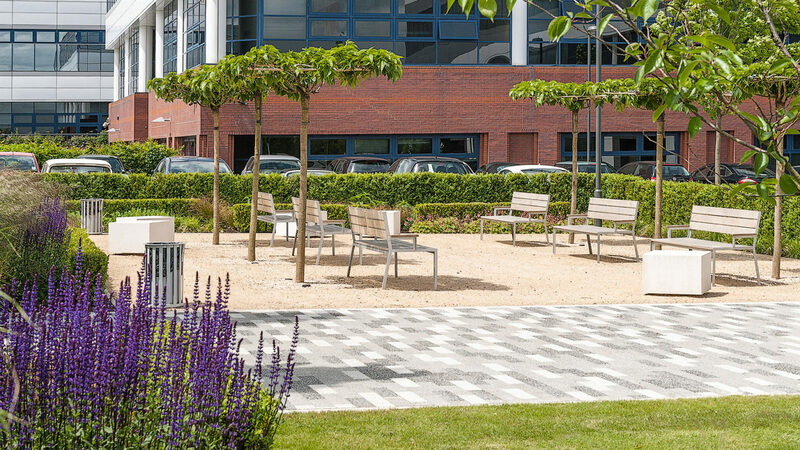 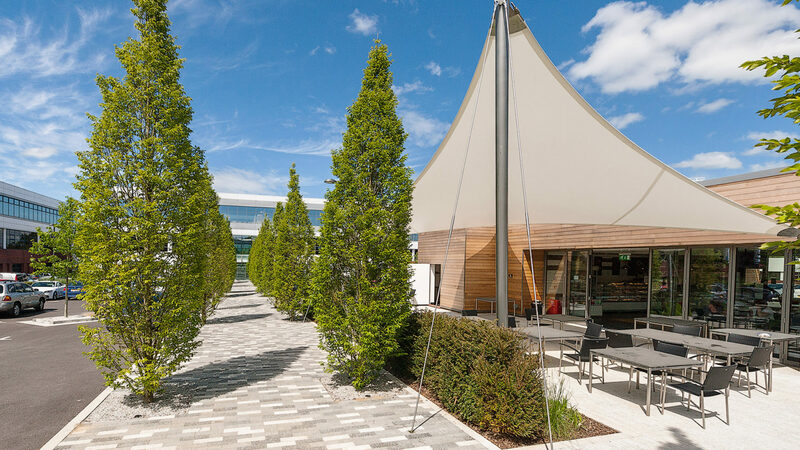 The landscape design has been developed to provide a green and stimulating, yet simple and functional setting that has proven itself to be well used and cherished by employees.